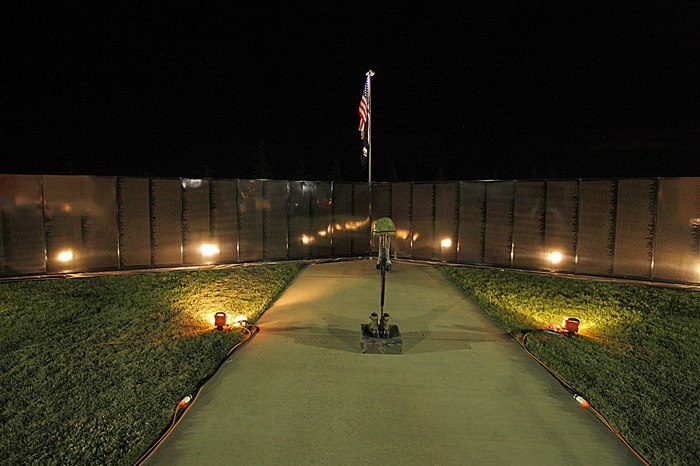 The Mobile Vietnam Memorial Wall is a half-scale mobile replica of The Vietnam Veterans Memorial Wall in Washington, D.C. It was created by and for the Antelope Valley (hence the nickname “The AV Wall”), but over time other communities have expressed interest in displaying the wall in their areas. Therefore, The AV Wall is available for rent to display throughout Southern California. More information and display request form are available here. The AV Wall is cared for and displayed by a 100% volunteer workforce. Point Man Antelope Valley (a non-profit Veteran ministry group) is the Guardian of The AV Wall.